Sears has been in a irreversible decline since around the time my grandfather retired from selling appliances, in 1992. In the early nineties it started laying off tens of thousands and closings stores around the country. More recently it’s been widely discussed as a bankruptcy target and has closed hundreds more stores. Last year, it reported a $3.1 billion loss. Sears management has blamed many factors for its distress. There’s the changing retail landscape, the advent of e-commerce, and the expense of maintaining thousands of retail stores. But one aspect of Sears’ core culture has undeniably changed over the years. According to Consumer Affairs, 86 per cent of customers are unsatisfied with Sears’ customer service. That gives it a worse rank than competitors like Macy’s, Kohl’s, and JCPenney. The lack of customer service could put Sears in trouble, consumer service expert and bestselling author Grant Cardone told us. Part of the problem could be compensation. When my grandfather worked for Sears, he was awarded a commission-based payscale and benefits. My grandfather also described Sears’ culture. He started working there because his friend, an employee, described the benefits of working there. He was loyal to the brand. Cardone points out that today, Sears’ corporate culture is lacking. Sears chairman and CEO Eddie Lampert has a hedge-fund background, which could contribute to why the company has “lost its personal touch,” Cardone said. “I get better service at Starbucks with 17,000 locations and a $4 product because Howard Schultz leaves his ivory tower to go into stores and see what’s working,” Cardone said. Lampert has added iPads for salespeople and wireless service in stores in an attempt to improve customer service in recent years. 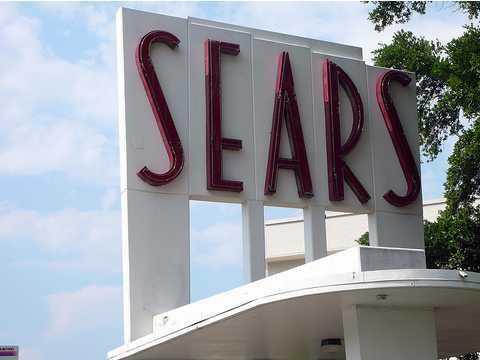 Still, it would take a serious customer service shift to save Sears. Even my grandfather, a 27-year-veteran of the chain, only shops at Sears for major purchases, like appliances. “They don’t have the selection or level of customer service that they used to,” he told me.